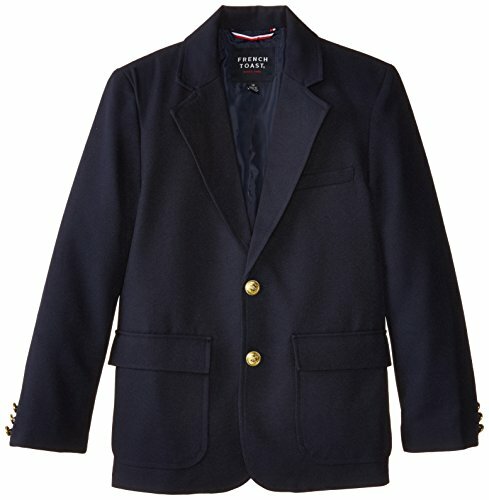 Boy's 2 button dress blazer with shank embossed gold buttons. Patch pockets with flaps in hopsack polyester. Blazer is fully lined.